The most comfortable in-ear headphones right now! It’s hard to know which earbuds are comfortable nowadays since you have hundreds of options. After a thorough research (looking at general feedback while reviewing them ourselves) we came up with the list of the most comfortable in-ear earbuds on the market right now. Check it out below. Don’t like in-ear? Looking for classic earbuds, click here. How Do We Know What Comfortable Earbuds Are? How to Make Your Earbuds Even More Comfortable? Is There Any Other Solution than Comply Tips to Get Best Comfort? The most comfortable earbuds for most people! 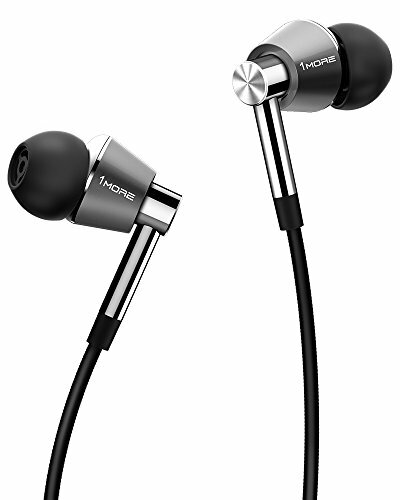 High quality, audiophile in-ear headphones with great comfort. Most comfortable “heavy” (stainless-steel) earbuds. Most comfortable Bluetooth sports earbuds. Best value for money comfortable earbuds. Popular Shure in-ear headphones with almost a cult status. A combination of good sound, lightweight, comfortable design and noise isolation. Entry-level audiophile in-ear monitors with good comfort. Wooden earbuds with great comfort and sound for little money. The most comfortable budget earbuds in our opinion. Aren’t all people different, we all have different ears? Yes that’s true. But it’s also true the ears are usually the same shape and most people’s ears fit in a specific size range. It’s very hard to say if a specific model will be comfortable for you, but the ones that fit most people are generally the most comfortable earbuds. We also follow certain parameters like weight, size, type of design and materials used. In the end, the best way to know for sure is to try them yourself but since you can’t do that with every model you can check out our reviews. With all in-ear headphones you can change the eartips. And since there are many different eartip types you can always switch between them to find the ones that fit you best. Generally, the most comfortable are Comply memory foam eartips. You can find them for almost all in-ear earbuds. What makes them so comfortable is that they are soft and easily moldable and once inside your ear they expand for a perfect fit. How to clean Comply eartips? Since Comply tips have a slightly sticky surface they tend to get dirty fast. The best way to clean them is with a wet cloth. Don’t use any alcohol or cleaning chemicals. A cloth and some water is all you need. Afterwards just wait for the eartips to dry and they’re ready to use again. The best way to find the right Comply tips for your in-ear headphones is to check their compatibility finder. You can find it on this website, look for a green button in the menu. Comply foam tips are compatible with most in-ear monitors. You can check their compatibility guide here. You have the option of getting custom molded eartips. Now that is usually very expensive but we found a couple of cheaper options as well. Check out Decibellz. These are custom moldable earplugs that you can make yourself to fit your ears perfectly. For an even cheaper option, check out Radians custom molded earplugs. You have to play a bit with it, but you can create great custom molded earbuds that will fit you better than any generic ones. There’s videos about it on Youtube. Klipsch X11 In-Ear Headphones offer a balanced listening experience delivered in a super lightweight package that provides best-in-class comfort in our opinion. These in-ear monitors will quickly become your go-to choice for long listening sessions. Klipsch X11 earbuds are tiny in comparison to just about every other in-ear monitor. This makes them one of the most comfortable earbuds right now. There are five sizes of oval ear tips provided so that you will get the most comfortable fit possible. Oval-shaped ear tips can be better than circular ear tip designs because they help minimize ear canal fatigue and pressure points. The patented ear tip design offers superior comfort that is great for long listening sessions. It is also possible to use other third-party ear tips if you prefer a different size, shape, or material. Weighing in at only 0.35 ounces (10 grams), the Klipsch X11 earbuds are hardly noticeable. The lightweight aluminum housing is designed to fit in the ear and is barely felt. A deep seal is important in order to get great bass response. Fortunately, the Klipsch X11 provides this while still maintaining great comfort. It hard to find a smaller or more comfortable pair of in-ear monitors that still delivers great sound at this price point. Klipsch X11 earbuds fit very well and provide superior passive noise isolation. The small form factor allows for a tight fit that can easily be inserted into the ear canal. These earbuds are great for workouts or when using in places where you need a secure fitting set of headphones that will stay in place. Noise isolation is excellent, making the X11 a great choice for loud work environments or commuting. The ambient noise control is so good that you might have to pay extra attention when running along busy streets or working in an office. Microphonic cable noise can be an issue for some users, especially active users who do not use any cable management. This cable noise can be greatly diminished by wearing the cables up and over the ears instead of hanging straight down. The aluminum construction of the earbud housing is lightweight, attractive, and robust. A tangle-free cable and 3.5mm straight connector are included in the updated design of the latest Klipsch X11 earbud model. Besides the five different sizes of oval ear tips, there are several other accessories included. You’ll receive an airline adapter and a 3.5mm to ¼” adapter along with a convenient clothing clip. There is also a handy carrying case, which you will want to use. The Klipsch X11i in-ear monitor model is available for users in need of in-line controls that are compatible with Apple iOS devices. Some remote control features may work with Android devices, but that is not guaranteed or supported by the manufacturer. The weakest design element comes down to the cable strain relief. You’ll want to take care not to sharply bend or tug on the cables. The plastic 3.5mm jack casing can also slip around if exposed to excessive heat or too much wear and tear. These earbuds will last a long time if you take care of them and use the included carrying case for safe storage. Klipsch provides a 2-year warranty when the X11 is purchased through an authorized retailer. Interested in the toughest earbuds? Click here. The use of balanced armature drivers (one in each earbud) allows these compact in-ear monitors to produce big sound in a small package. Overall sound quality is pleasantly balanced, warm, and tuned for a quality listening experience with a variety of musical genres. Klipsch X11 earbuds produce a full range of sound, but bassheads are not going to be blown away by the low frequencies. You’ll hear excellent low-end response when listening to high quality music files with a tight seal in the ear canal. Low-mids are slightly more emphasized than other frequencies, but that doesn’t make the mix sound muddy. In fact, it can add a bit of power and depth. Highs are crisp and articulate, like you would expect from a quality balanced armature driver design. You will notice some distortion in the bass if you try to turn up the volume instead of getting a better fit. These earbuds are not designed for bassheads, nor are they perfectly tuned for audiophiles. However, the X11s are super comfortable and easy to listen to. If you’re looking for the most comfortable and compact in-ear monitors, you need to try out the Klipsch X11 earbuds for exceptional fit, quality sound, and great overall performance. From a company with deep roots in producing great sounding monitors, Westone W10 in-ear monitors provide a solid audio performance and a very comfortable fit. 10 different ear tips are provided with a variety of other quality accessories that make these earbuds stand out from the competition. The W10 model is the cheapest of this series, but for even better quality, check out W20, W30, and W40 models as well. Westone W10 in-ear monitors are comfortable to wear and even more comfortable to listen to. The first thing you might notice after opening the box is that there are 10 different ear tip combinations. This allows for precise comfort selection and a flexible fit. Five silicone ear tips and five foam ear tips are included. Each style is available in S, MS, M, ML, and L sizes. Westone’s patented star silicone ear tips feature small grooves on the backside of silicone flange. These grooves help the ear tip conform to your ear’s exact shape. The True-Fit foam ear tips provide greater ambient noise isolation and added comfort for most ear shapes. Here are most noise isolating headphones. 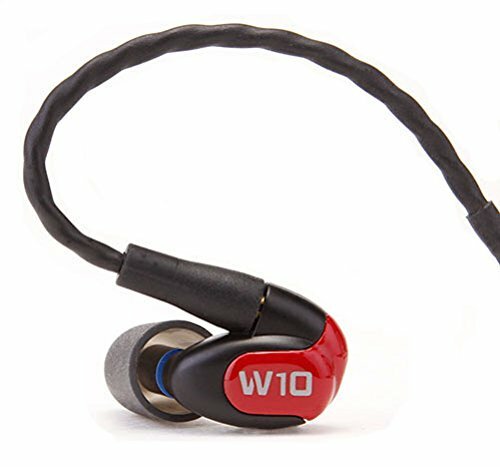 W10 in-ear monitors are designed to gently fit in the ear without being too bulky. Weighing just 0.45 ounces (12.75 grams), they are lightweight enough to use for long listening sessions. The earbuds fit deep enough in the ear canal to provide a good seal, but not so deep that they are uncomfortable or irritating. A comfortable fit is easy to achieve with the variety of included ear tip sizes. Some users may find that using a different size ear tip in each ear may provide the best fit. This depends on the ear shape from person to person. Both silicone and foam ear tip varieties provide good ambient noise isolation. The True-Fit foam ear tips will block out more ambient noise and provide a slightly warmer frequency response. The earbud housing does stick out a little bit but you’ll soon get used to it. Westone recommends that you wear the cables facing forward, and then wrap them up and around the back of the ears. Wearing the cables over the ears can increase stability and reduce microphonic noise. Active users may need to experiment with different ear tips and cable placement to get the most secure fit. Ideally, you want to select the largest ear tip size that is still comfortable and secure. Westone W10 in-ear monitors are designed for both casual listening and on-stage monitoring. They are built to last. The plastic earbud housing is designed for everyday use and holds up well in most environments. They even offer a modest level of moisture resistance. The detachable cable design allows you to replace a cable that may be damaged or fail at the strain relief points. There are 2 types of cables provided with the W10 earbuds. An MFi (multi-function 3-button remote) cable can be used to control Apple iOS devices. The braided EPIC (Earphone Precision Interface Cable) detachable cable is great for precise audio reproduction quality. Westone offers a different cable for Android devices that is available separately. The standard cables still work for audio listening though. Westone includes three colors of earbud covers (black, red, blue) that let you customize the style of the housing. A 2-year warranty is included for all units purchased through an authorized retailer. Westone consistently produces some of the best sounding in-ear monitors out there, and the W-series builds on this reputation. There are four models to choose from in the W-series: W10, W20, W30, and W40. 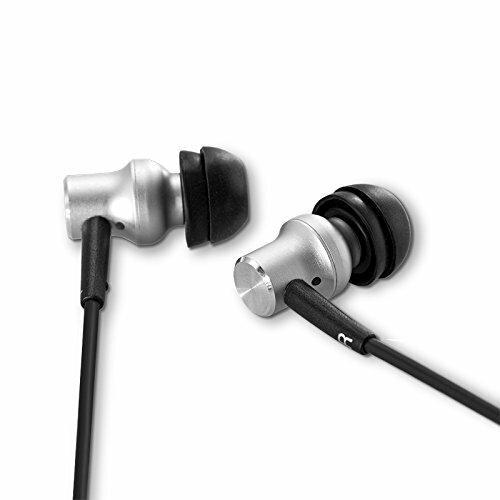 Each in-ear monitor uses a balanced armature driver design. The biggest difference among the four models is the number of drivers used in each monitor. More drivers will enhance the frequency response of the in-ear monitor. It is especially common to add more drivers to help boost the bass response, since some balanced armature drivers can seem lacking in this area. However, adding more drivers means a higher cost, so manufacturers will often provide a range of performance options to choose from. 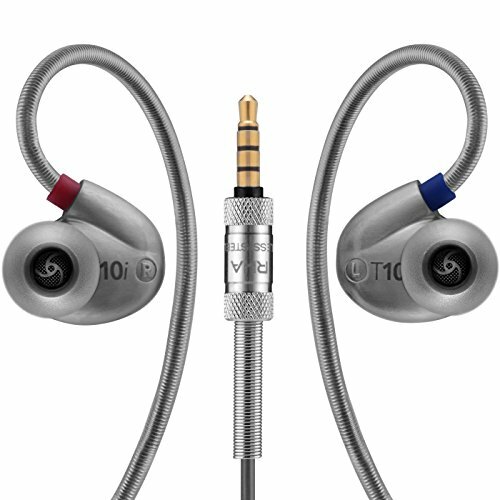 The W10 in-ear monitors include one balanced armature driver per ear. This means that you may perceive a lower presence or less power from very low frequencies. Westone W10 earbuds are sonically pleasing for a single-driver design. Bass frequencies are warm, round, and can even be punchy with a tight fitting seal. These are not good earbuds for bassheads though. Mid range power is where these monitors really shine. They provide solid vocal presence with great clarity. Highs are crisp and defined, but never seem harsh or sibilant. As with many headphones, overdriving these earbuds will distort the bass frequencies. It is best to get a better fit and apply some modest EQ to improve the low frequency response if desired. The balanced sound quality and smooth frequency reproduction makes these earbuds easy to listen to. Westone W10 in-ear monitors provide audiophile sound quality and excellent comfort in an attractive package that is definitely worth checking out if you want a quality set of earbuds under $200. RHA T10i high-fidelity in-ear headphones provide a customized listening experience that is as comfortable as it is durable. With a stainless steel earbud case design and frequency tuning filters included, these headphones deliver a lot of value at a price point under $200. When opening the box, the first thing you might notice is the impressive array of ear tips provided with the RHA T10i noise isolating in-ear headphones. The various ear tip sizes and materials will allow you to get the right balance of comfort and fit. There are six pairs of dual density ear tips. These ear tips feature a softer outer material and a firmer inner construction that helps maintain a tight seal. Two pairs of double flange silicone ear tips and two pairs of memory foam ear tips are also provided. These earbuds are designed to be worn with the cable going over the ear. You’ll definitely want to wear them this way because they are somewhat heavy. 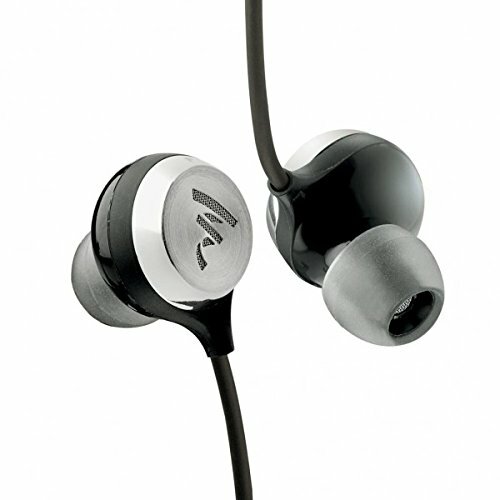 At 1.45 ounces (41 grams), these stainless steel earbuds are some of the heaviest on this list. Considering the extra weight, the RHA T10i earbuds are surprisingly comfortable to wear, and the earbud case design fits easily in the ear. With so many ear tip varieties and sizes to choose from, finding a good fit is easy. Many users find that the dual flange silicone ear tips provide a good balance of flexible comfort and passive noise isolation. And because of the over-the-ear design of the cable, microphonics is almost non-existent. The memory wire (textured plastic and stainless steel) exiting each earbud conforms to your ear’s shape and keeps the headphones in place. The only challenge with achieving a good fit with the RHA T10i earbuds is when trying to workout. Want Bluetooth earphones? Check them here. Even with the moldable earhook cable design, the earbuds can lose their seal and fall out in active environments. Cable management and a clothing clip are provided, but you will notice the heavier construction of these headphones during fast movement. RHA T10i stainless steel earbuds are built to last. Each element of the design seems to have been planned for durability. Even the interchangeable tuning filters are made to securely screw into the earbud case. The stainless steel reinforced cable features great strain relief at each entry/exit point. One minor issue is that the moldable earhook portion of the cable can be bent too much and kinked. The T10i model features a 3-button in-line remote and microphone that is compatible with Apple mobile devices and Android devices. A premium zippered carrying pouch is provided to store the earbuds as well as the accessory pack of ear tips and tuning filters. RHA provides a 3-year warranty on these robust earbuds. RHA uses their 770.1 dynamic driver design for these hi-fidelity IEMs. This type of driver requires the earbud case to be larger than models using balanced armature drivers, but the bass response is quite good. If fact, unless you are a basshead, you might want to use the treble tuning filter to enhance the high frequency range. Bass frequencies are delivered with good power and focus, with low-mids having a slight advantage in this range. Mids are warm and rich, but can seem a bit subdued or held back when compared to the powerful bass tones. The higher register shines through loud and clear, but the response isn’t too sharp or overly present. Many listeners will find that using the included tuning filters can help achieve the particular sound signature they want. Overall they produce entry-level audiophile sound with a balanced sound signature. While the heavier stainless steel design may not be suitable for sports, RHA T10i hi-fidelity in-ear headphones offer powerful sound in a very durable package that is very comfortable for its design. Bose SoundSport Wireless earbuds have a great mix of comfort, sound quality, style, and value. Though they aren’t the lightest or smallest, these earbuds are easy to listen to for many hours. 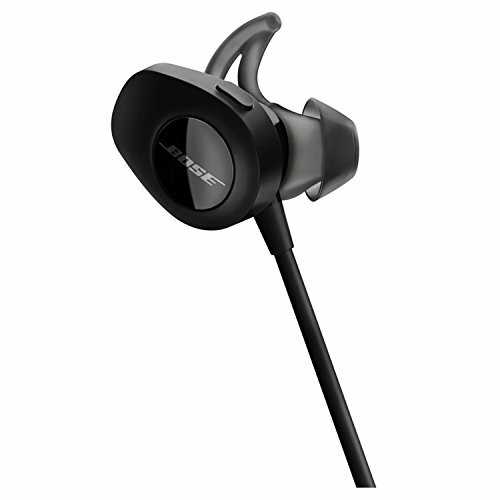 Bose SoundSport Wireless are one of the best workout headphones. Bose headphones consistently get high ratings for comfort, and the Bose SoundSport Wireless earbuds are no exception. The StayHear+ silicone ear tips are comfortable and easy to insert in the ear. They don’t create a super tight seal, but the soft material conforms to just about every ear shape. Ear fatigue is minimal, making these earbuds great for long listening sessions. The driver and case design is not too heavy, but it isn’t the lightest on this list either. With a battery and Bluetooth, the SoundSport wireless earbuds weigh only 0.8 ounces (22.7 grams). The earbud case design is a somewhat bulky and can stick out a bit. Those with smaller ears may feel some discomfort because of that but apart from that these are the most comfortable sports earbuds in our opinion. Three different sizes of StayHear+ ear tips are provided to allow a good fit for just about every user. While the fit is comfortable and secure, ambient noise isolation is not great. The soft silicone ear tips don’t provide enough of a seal to block out louder noises. This is helpful when exercising outside since you have to be alert of your surroundings. The Bose SoundSport wireless earbuds are great for all kinds of workouts and high activity use. The earbuds stay in place very well and the short cable with in-line remote does not get in the way. These headphones are generally well built and have good moisture resistance. One thing to be careful about… the earbud case is made of plastic and has a seam that can come unglued if the headphones are left in the hot sun. An in-line remote with microphone provides good functionality with most mobile Bluetooth devices. Microphone sound quality is also very good. One downside of the remote is that the buttons have a thin plastic shell that can break if pressed too hard. The Bose SoundSport Wireless Bluetooth connectivity is good and maintains a strong connection. Battery life is average at best, providing about six hours of playback time. Be sure to register your Bose earbuds with the included warranty card to ensure you get any support needed after the initial purchase. Fans of the Bose sound signature will be pleased with the overall frequency response of the SoundSport wireless earbuds. The frequency response is not audiophile quality, but it is lively, rich, and easy to listen to with a wide range of musical genres. Bass frequencies are warm, but equally strong and punchy. A solid mid range allows vocals to sound rich and crystal clear. Highs are certainly bright enough, and high volume levels could make the treble range sound a bit harsh. The maximum volume level for these wireless earbuds is not great, but there is a firmware update that can boost the levels. Just be aware that the update may cause high frequencies to be more distorted at the higher volume levels. Overall sound quality is great for the average listener, but audiophiles and bassheads may prefer other options. If you love the Bose sound signature and you want a very comfortable set of portable earbuds that are good for casual listening or working out, the Bose SoundSport wireless earbuds are your best pick. 1MORE Triple Driver in-ear monitors deliver remarkable audio quality and value in the $100 price range. Not only do these earbuds sound great, they also feel luxurious and comfortable. These were a serious contender for our top pick. In our opinion these are the best value for money comfortable earbuds. Not only do you get great comfort (not much worse than Klipsch X11), but good build-quality, features, accessories and high sound quality. Besides opening the box and being impressed by the attention to detail in packaging, you’ll notice nine sets and five sizes of ear tips. The 6 sets of silicone ear tips with integrated wax guards provide a great range of choices for a soft and flexible fit. The 3 sets of foam ear tips may provide a greater level of noise isolation and a tighter seal, depending on your ear shape/size. 1MORE Triple Driver in-ear headphones feature an earbud design that uses an angled ear canal stem to help position the earbud properly. This metal stem seems to be a bit longer than other similar designs and it may cause discomfort for users with small ear canals. The brushed aluminum earbud case and braided cable only weigh 0.6 ounces (17 grams). This is very light for the materials used. These earbuds are more comfortable when you wear the cables down, but you can wear the cables up and over the ear if desired. You can always combine them with Comply T-600 foam eartips for maximum comfort. Wearing these for hours is no problem. The aluminum earbud shell of the 1MORE Triple Driver earbuds is average in size, even with three drivers in each earbud. It doesn’t stick out too far from the ear. Selecting the right ear tip size will help ensure that a secure fit is achieved each time. That shouldn’t be a problem with so many included ear tip sizes. These IEMs are not perfect for workouts, but they do stay in place fairly well for a variety of activities. Passive noise isolation is good for this design. You will still hear some ambient noise, but it will be easy to focus on the great audio quality. Microphonic cable noise can be a problem for some users, so experimenting with wearing cables over the ear should help with that. The aluminum earbud construction and braided Kevlar reinforced cable looks great and seems sturdy. Strain relief at the cable ends is modest, but does the job. The metal trim and 3.5mm straight jack barrel casing feels solid. 1MORE E1001 Triple Driver in-ear headphones come with an in-line 3-button remote with microphone that works for Apple and Android devices. A model is also available with a Lightning cable that is compatible for iPhone 7 users. Microphone sound quality is slightly above average and sounds better than most cheaper headphones. 1MORE is listed as a newer startup in the headphone manufacturing space, and it seems they may have some early quality control issues with this product. Some users have noted bent ear canal stems and loose cable connections from the factory. However, 1MORE provides exceptional support and a fast response to questions when reported. It’s going to be very hard to find another set of triple driver headphones that can deliver this kind of sound quality in this price range. 1MORE uses three drivers in each earbud: two balanced armature drivers for highs and mids, and one dynamic driver for extended low frequency response. The bass is presented with a powerful foundation and strong, focused presence, but it isn’t out of balance. Vocal presence is solid and instrumentation is well represented in the mid range. There is plenty of energy and power, but very little muddiness. The dual balanced armatures provide plenty of detail, space, and air in the higher register. 1MORE’s triple driver design and thoughtful tuning also allows for a wide soundstage that maintains balanced resolution. Boasting a 20 Hz to 40 kHz frequency response, these earbuds meet Hi-Res Audio standards. Audiophiles can consider these a respectable budget friendly set of in-ear monitors. The average listener should be easily impressed by the sound quality. 1MORE Triple Driver In-Ear Headphones have a luxurious feel, attractive style, and they rank among the most affordable triple driver earbuds available. Amazing value for money. Shure SE215 earbuds are a respected set of professional in-ear monitors used by music professionals around the world. These quality earbuds provide a comfortable listening experience and excellent noise isolation for a wide variety of users. Shure SE215 sound isolating earphones offer a great mix of comfort, noise isolation, audio performance, and value. There are three sizes of foam and soft flex sleeves included in the Shure Fit Kit. These ear tip sleeves provide a soft and secure fit that works great for most ear sizes. Since Shure uses a single dynamic micro driver, you’ll want to make sure the earbuds fit tight and create a good seal in the ear canal. Foam ear tips can provide a softer feel, while the soft flex sleeves can allow for slightly deeper insertion in the ear canal. Both sleeve types are comfortable to wear. The overall earbud housing and construction is a bit heavier than normal earbuds, weighing about 1 ounce (30 grams). The shape of the SE215 is different than a traditional earbud, so that may be uncomfortable for those with smaller ears. Because of their larger size and long shape, these in-ear monitors can take some time to get the right fit. You’ll want to spend a few moments experimenting with different ear tips and moving the IEM around to get the best fit for your ears. The moldable wire is perfect for wearing over and around the ear. It stays in place and provides a secure fit for the earbuds. Users looking for a great sounding set of workout earbuds will find the SE215 to be a great solution once a proper fit is achieved. 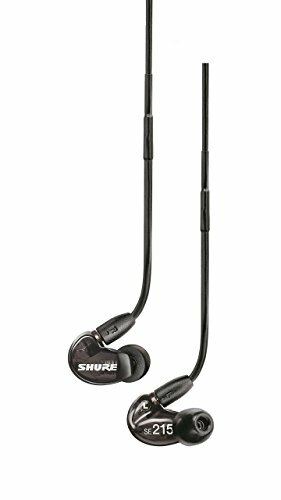 Shure SE215 sound isolating earphones are very good at blocking ambient noise, as the name implies. You’ll be able to block out up to 37 dB of ambient noise with the right fit. That makes the SE215 great for loud work environments, commuting, or private listening. Do you play games? Check the top gaming headsets here. The Shure SE215 in-ear monitors were designed for use on and off stage, but they are also perfect for the average music listener. A plastic earbud housing and ear tip design is resistant to moisture, so these are great for workouts. Detachable cables provide an extra level of durability. And if you accidentally damage the cable, you can easily replace it. A nice zippered pouch is provide to store the earbuds, ear tips, and detachable cable. If you want in-line remote controls and a microphone, you’ll need to upgrade to the Shure SE215m+ version. It should be noted that the cable is a bit longer and thicker than a lot of other earbuds. This makes the cable more durable, but you may also need to manage the extra length. Shure provides a limited 2-year warranty for the SE215 earphones. A single dynamic micro driver is used to power the Shure SE215 sound isolating earphones. While this driver is rather small, it produces a robust sound that has plenty of volume. The bass response is warm and well rounded, but it isn’t the strongest component of the SE215 sound signature. You will likely get the best bass performance by using the foam ear tips and making sure there is a tight seal. Mids are powerful and deep, providing rich instrumental tones and great vocal detail. Highs are crisp and articulate. The level of detail from the dynamic micro driver almost rivals what you might expect from a balanced armature driver design. The added benefit of great ambient noise control really makes the sound signature of these earbuds come alive. In the end, these produce a balanced sound signature for all genres. Shure SE215 earbuds definitely deserve your attention if you want professional quality and durability in a design that will comfortably fit your ears and provide great sound at an approachable price point. Focal Sphear In-Ear Headphones from France are lightweight, easy to wear all day, and expressive in their rich sound reproduction. These may not be the best earbuds for bassheads, but the sound quality approaches that of earbuds two or three times the price. The Focal Sphear in-ear headphones rank just as high in comfort as they do in sound quality: solid performance in both categories. They are perfect for extended listening periods and all-day use. With a total weight of only 0.5 ounces (14.2 grams), these earbuds are very easy to wear and do not cause a lot of ear fatigue. The compact earbud design allows the Sphear to fit comfortably in most ears. If the earbud doesn’t fit perfectly at first, give it a week or two so your ear can get used to it. Three memory foam and three silicone ear tips are provided. Most users find that the foam ear tips work best for maximum seal and noise isolation. The ergonomic design allows for the cables to be worn up or down. Wearing the cables down generally provides the most comfortable fit with these earbuds. Once you get a good fit with the right ear tip size, it will be no problem for you to listen to music for several hours with the Focal Spear IEMs. If in-ear monitors have worked for you in the past, these should fit just fine. Since the Focal Sphear uses a dynamic driver, the earbud case is a little bit larger than some balanced armature driver designs. That being said, the earbud housing is still fairly compact and has a low profile design. It also stays in place easily, so they are good for everyday activities. Noise isolation is reasonable, especially when using the memory foam ear tips. Outside noise bleed is minimal, although there is a bass reflex port at the back of the earbud that can cause minor sound leakage. Focal Sphear in-ear headphones are perfect for everyday use, and they are even good for workouts. Moisture and sweat resistance is ok, but it is best not to expose the earbuds to too much moisture. The rear facing bass port has a good screen cover, but moisture can still get in with direct contact. Cable strain relief at the angled 3.5mm connector is good, but the cable exit at the earbuds is susceptible to damage. Focal Sphear earbuds include an in-line microphone and the remote controls are cleverly located in the Y-split part of the cable. The earbud cable is not the best when it comes to tangling, so you shouldn’t store these in your pockets. A small carrying case is provided for storage. It is small though, so be careful packing the earbuds and cable into the case. Overall construction and product durability is good. With relatively large 10.8mm dynamic drivers, Focal Sphear in-ear monitors provide deep imaging and a wide soundstage. These drivers really shine in the mid range, offering rich tones that are perfect for listening to acoustic, classical, jazz, or vocal music genres. Highs are crisp and detailed, although they may seem a bit shrill for some users. The highs can be especially accented when contrasted with heavy low frequencies heard in EDM and hip-hop. Low frequency output from the Focal Sphere earbuds is not overpowering. In fact, bass frequencies will seem slightly subdued for listeners used to average earbuds. While these are not true reference in-ear monitors, they do trend on the more natural sounding side of the spectrum. It is very advisable to allow for proper burn in time with the Focal Sphere, as the soundstage and frequency response will open up over time. Focal Sphere earbuds offer a good balance of tone, comfort, style, and performance that is hard to pass up for listeners who prefer a more natural and balanced sounding set of earbuds. Don’t be thrown off by the simple look and feel of the HiFiMan RE-400 in-ear headphones. These earbuds perform well in several important categories, including overall comfort and sound quality. One thing that enhances the comfort level of these earbuds is that they can easily be worn with the cables down or up and over the ear. Many other earbud styles don’t always allow for this, but the symmetrical construction of the HiFiMan RE-400 in-ear headphones is a benefit here. There are three different pairs of soft silicone ear tips and four pairs of foam ear tips provided. It may take some time to experiment with the various ear tips to get the best fit. Using some additional Comply ear tips may provide a better seal depending on your particular ear shape/size. You’ll know you have the right fit when you hear the smooth frequency response, good noise isolation, and a fit that lets you comfortably listen for several hours. The smaller 8.5mm dynamic drivers and aluminum earbud construction help the RE-400 earbuds come in with a weight of just 0.47 ounces (13.5 grams). The simple shape of these earbuds allows them to fit most ears very easily. There isn’t a lot of bulk or mass to cause earbuds to fall out if inserted properly. Wearing these IEMs with the wires up will provide a little more security when working out or moving around. HiFiMan RE-400 earbuds have good passive noise isolation. They work great for noisy commutes, air travel, or loud work environments. Microphonic noise is definitely noticeable when the cables are worn down, but wearing them up and over the ear helps reduce most of this effect. While it’s true that older versions of the RE-400 earbuds had some reliability problems, the new models have been re-engineered for better quality. The aluminum housing is well built and cable strain relief is improved. A larger tailpiece on the angled 3.5mm jack is robust and doesn’t feel like it will break when you pull on it. Some users have complained of the upper cables splitting open or the cloth braiding on the lower section coming loose. Proper storage of the earbuds and cable should prevent most causes of damage. A metal slide is provided to help with management of the 52 inch (1.33 meter) cable. Certain models feature remote controls and an in-line microphone. Get the RE-400i for iPhone compatibility and the RE-400a for Android devices. HiFiMan RE-400 in-ear headphones are celebrated as a solid entry-level audiophile set of earbuds. This means that you get dependable audio performance at a lower cost than most high end headphones. The overall sound characteristic is neutral, with very little extra emphasis on the lower register. Bass frequencies are smooth and warm. However, bassheads will not care for the lack of power in the low range. HiFiMan RE-400’s 8.5mm dynamic titanium drivers do a great job of providing a balanced sound, but they do not deliver much in the way of sub-bass extension. Mids and highs are blended very well. The highs are open without being too airy and the mids provide plenty of power. The RE-400 earbuds are great for listening to several different genres including rock, acoustic, jazz, and classical. Fans of EDM, pop, hip-hop, or bass-heavy music may prefer a different set of earbuds. Check best bass earbuds here. HiFiMan RE-400 earbuds are an entry-level audiophile set of earbuds that are perfect for listeners that simply want good sound in a basic package. While other manufacturers pump out plastic and metal earbuds, Symphonized NRG 3.0 earbuds are produced in a beautiful wood finish that sounds great. The perfect symmetry and provided ear tip sizes might not be perfect for everyone, but it’s hard to ignore the great performance at a price point of less than $30. At first glance you might think that earbuds made from wood are going to be too heavy. That’s definitely not the case with the Symphonized NRG 3.0 earbuds. Symphonized keeps the total weight under 0.3 ounces (8.5 grams) to deliver a comfortable earbud that looks great. Six pairs of custom fit silicone ear tips are provided. You can choose between gray or black silicone, but there are only three sizes (S/M/L). The style of the NRG 3.0 earbuds is convenient for most listeners, but some can find the circular ear tip shape does not fit quite as well as oval ear tips. Using the provided clothing clip with an already lightweight cable and in-line remote design helps remove any strain on the earbuds. While you may find slightly more comfort using additional foam ear tips, these earbuds are quite comfortable out of the box with little customization needed. The symmetrical shape of the earbud easily allows the cables to be worn down or over the ear. These earbuds will easily stay in place with either scenario. It is also possible to wear these earbuds under a hat or helmet. Ambient noise control is average for this style of earbud, even though the overall shape of the earbud does not allow for an extra deep or tight insertion. A rear bass port allows for a small amount of sound leakage, but it really isn’t too noticeable. Symphonic NRG 3.0 earbuds work great for a variety of uses in louder work environments, commutes, or even workouts. As the 3.0 name suggests, this is the third version of the NRG series. And each version gets noticeably better. The cable has a very flexible rubberized coating that helps keep it resistant to tangling. This coating also provides better microphonic noise control. Previous models have had issues with earbud separation or strain relief problems, but most of those have been resolved with the NRG 3.0 model. The weakest component of the assembly seems to be the in-line remote control and microphone housing. While it is very lightweight, it is rather fragile and the plastic shell can separate with enough pressure from the sides. Overall the product is suitable for everyday use and the company stands behind it with quick customer service. 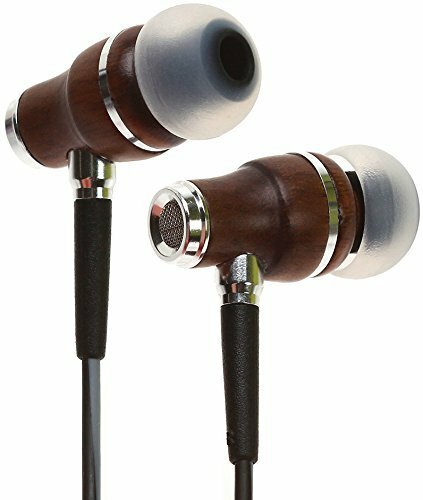 Perhaps it is the wood construction that adds to the easy listening warmth of the Symphonic NRG 3.0 earbuds. The 8mm dynamic drivers produce plenty of bass that is full and dynamic. Highs are crisp and articulate, but they do lack some brilliance in the highest registers. Mids are present enough for some musical genres, although some listeners will want to fine tune the EQ in this area to enhance depth or vocal richness. The sound quality is quite good for the price and these IEMs easily compete with earbuds that are four times the cost. Symphonic NRG 3.0 earbuds are the perfect choice if you want to spend less than $30 for a set of earbuds that have a distinctive look, warm sound, and a cozy fit. Yes, these are cheap earbuds, but you might be surprised at how comfortable the Panasonic RP-HJE120 are. And they really don’t sound too bad. If you’ve been looking for a cheap backup set of earbuds to throw around, keep reading to find out if these will do the trick for less than $15. These are very popular for a reason. Of all the most comfortable earbuds on this list, these are the cheapest while not the worst. The most remarkable thing about these earbuds is how comfortable they are. Panasonic RP-HJE120 in-ear headphones are a solid contender in this category due to their light weight and offset ear canal stem. Weight without the cable is a light 0.14 ounces (3.9 grams). And adding the 3.6 foot (1 meter) cable still keeps the weight to only 0.2 ounces (5.6 grams). The plastic earbud design is cheap, but it is also very lightweight. The earbud body features offset ear tips for comfortable placement in the ear canal. Three pairs of ultra-soft ErgoFit ear tips are provided. It will be easy to put these earbuds in and forget they are even there. And they are great for extended listening. Many earbud cases press tight against the bowl of the ear, but the RP-HJE120 earbuds do a good job of fitting in just the right spot to minimize pressure points. These are great secondary earbuds. The best noise cancelling earbuds right now. Fitting these small earbuds in the ear is pretty simple and they provide a good seal. Some users may need to gently twist the earbud in place to get the best fit (this is the case with many IEMs). It is even possible to swap the left and right earbuds and use the left earbud in the right ear for an over-the-ear wearing style and more secure fit. These Panasonic earbuds are perfect for runners or those doing intense workouts because they tend to stay in place very well. Because of the light duty plastic shell, these earbuds are not the best at blocking high levels of noise, but they are effective for modest noise isolation. Your experience with durability of the Panasonic RP-HJE120 in-ear headphones will likely vary depending on your average use environment. Be careful storing these earbuds in your pocket. The cable can be prone to tangling and the plastic earbud tailpiece can be crushed. Strain relief quality is average for a cheaper set of earbuds. Just don’t pull too hard on the cables and you’ll be fine. The 3.6’ (1m) cable is a great length for mobile devices, but it may be a challenge to plug these earbuds into a computer when sitting at a desk. Perhaps the biggest drawback of the RP-HJE120 is the squared end on the L-shaped 3.5mm jack. It doesn’t fit well into many modern mobile device cases. If you use a mobile case this might be a problem. If you want a mic or in-line controls you can get the Panasonic TCM125-K model. These low cost earbuds are not going to produce audiophile-quality sound. 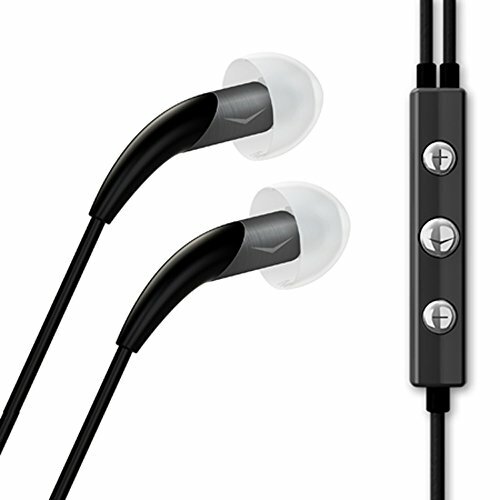 However, the Panasonic RP-HJE120 earbuds offer good sonic performance for the price. 9mm dynamic drivers produce a full range of frequencies that attempt to produce a V-curved sound signature. Even though these IEMs aren’t tuned for maximum bass output, you’ll find decent performance by using larger ear tips and getting a tight seal. The mid range is not super powerful or deep, but it provides enough presence to hold the mix together. Highs feature a nice bump above 4 kHz that adds extra detail and clarity, though sibilance can be an issue when boosting the earbuds to higher volume levels. The listening experience is generally enjoyable and there isn’t so much coloration that you loose things in a muddy mix. 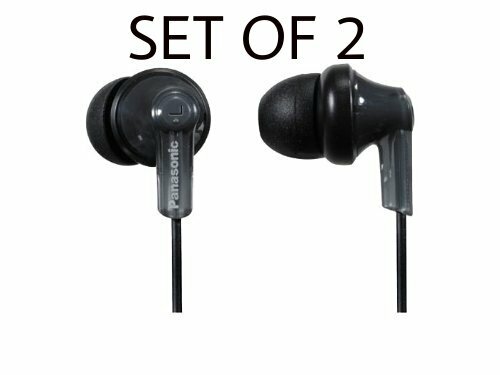 The reason why the Panasonic RP-HJE120 are the best-selling cheap earbuds is because they offer a really comfortable fit in a small and budget-friendly package that sounds better than most alternatives. Do you know of more comfortable earbuds? Please let us know in the comments below. This article was written by Headphones Tech.